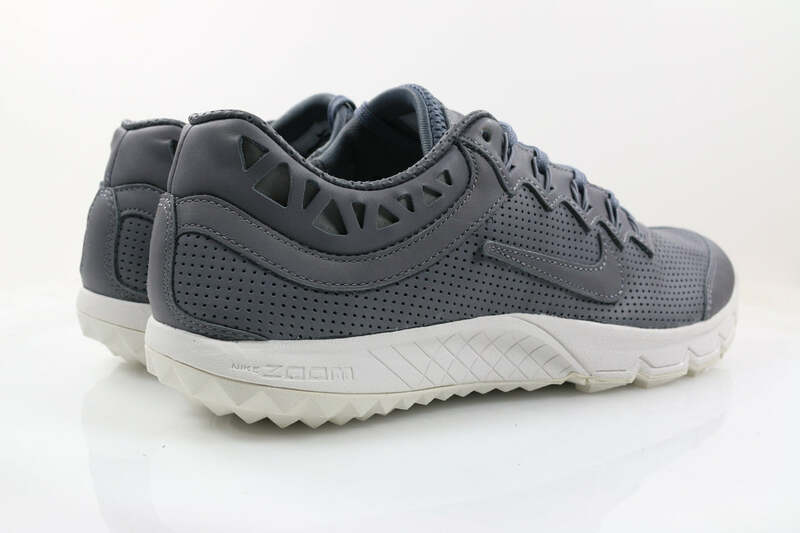 Nikelab present a monotone edition of the Zoom Terra Kiger II. 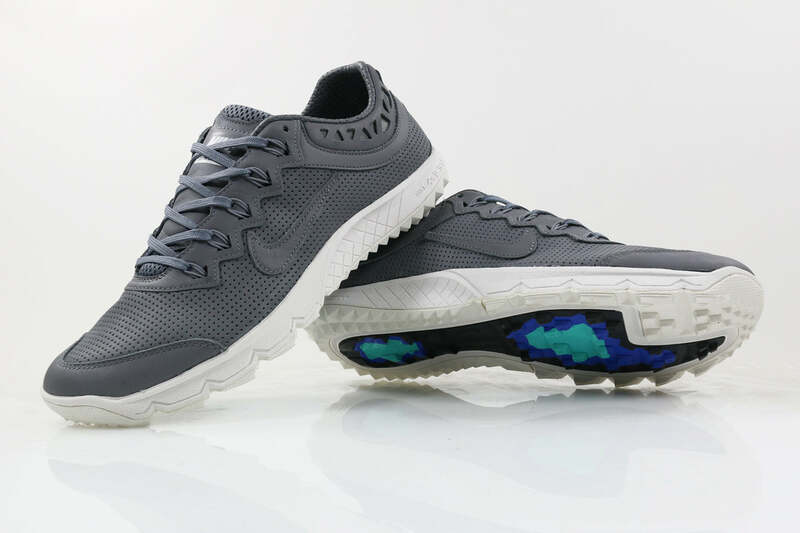 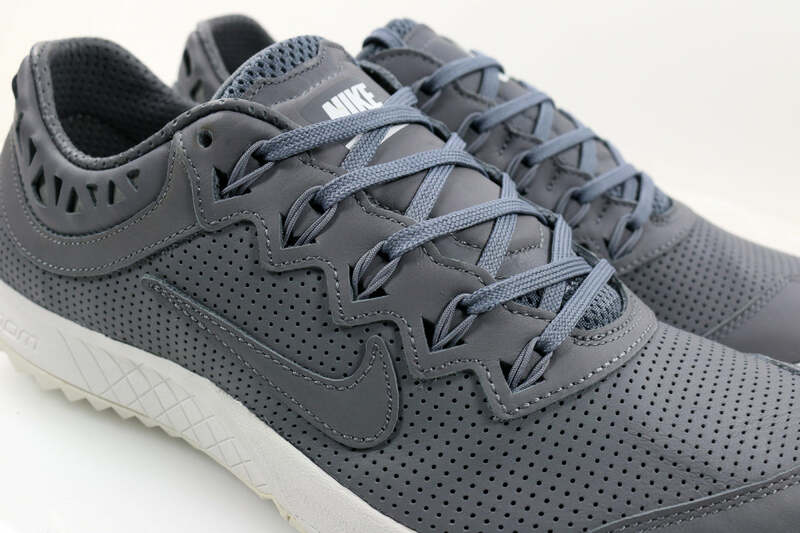 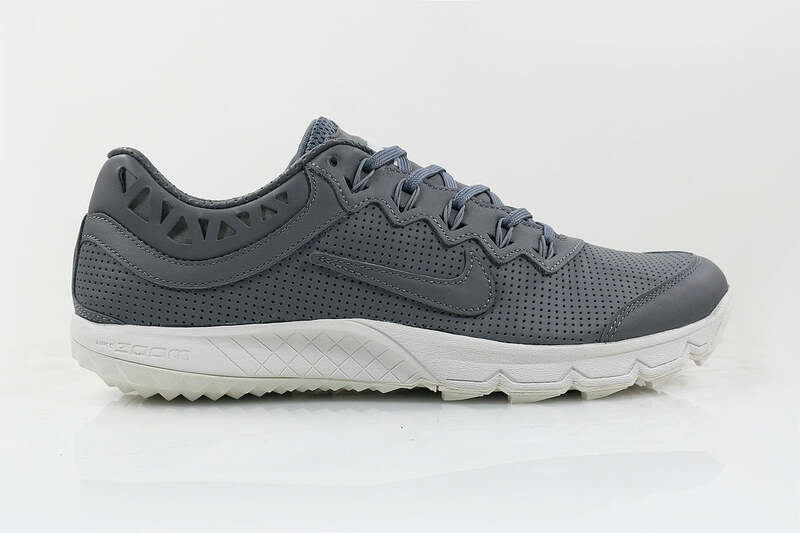 This performance running shoe is constructed from grey perforated leather and features aggressive, cross country inspired lugs on the outsole, intended to grip the ground for exceptional traction in all conditions. 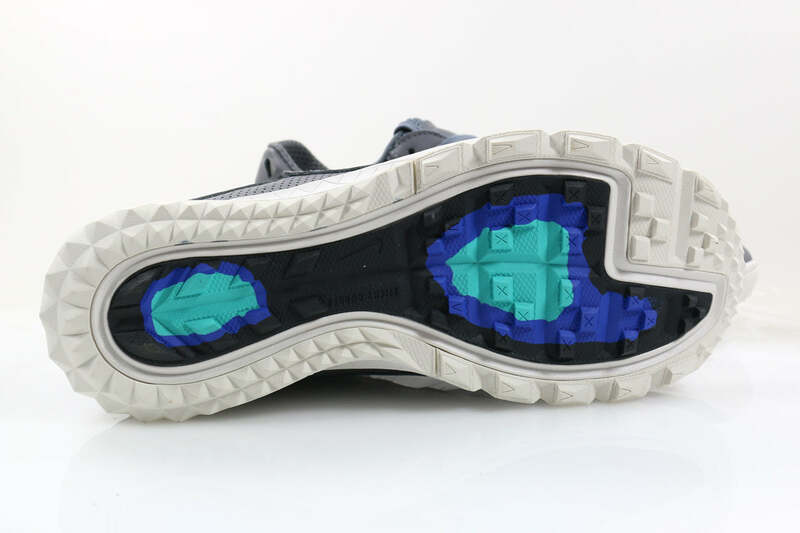 On the centre forefoot, sticky rubber provides extra traction on wet surfaces.